After reading the Take Five! 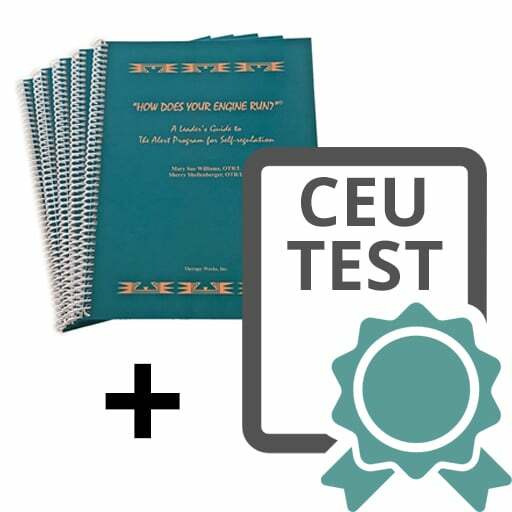 book, take this CEU Test to earn 3.0 contact hours. You will receive your receipt via email with a link to your test instructions. Then your book will be shipped out so you will receive it shortly. Simply read the book and send your completed test to us. By email, you will either receive your Certificate of Completion or an invitation to take the test again (at no extra cost). Simply read your Take Five! 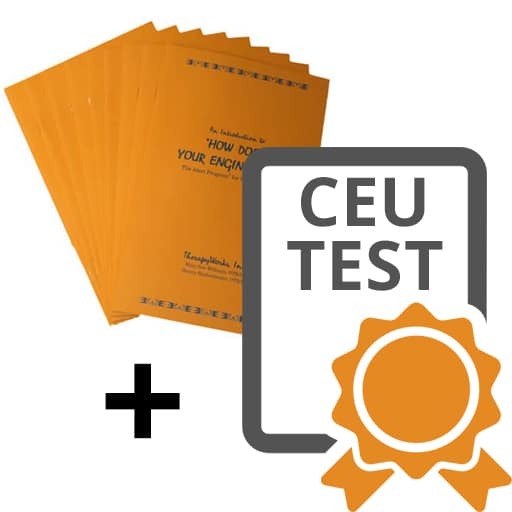 book, take this CEU Test, and then send your completed test to us. You will either receive your Certificate of Completion or an invitation to take the test again (at no extra cost). Earn: 3.0 contact hours (0.3 AOTA CEUs or 3.75 NBCOT PDUs). 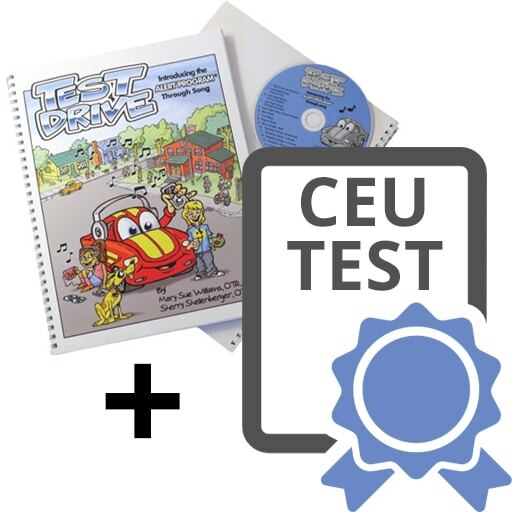 This self-study CEU test is intended for a variety of professionals including OTs, PTs, SLPs, teachers, counselors, and parents. All who read the Take Five! book will glean new information about how to support self-regulation with ease in classroom, home, and therapy settings. 2) Name the five sensorimotor ways to change how alert one feels to obtain an optimal level of functioning. 3) Select appropriate Take Five! activities to support self-regulation and learning in home, school, and therapy settings. 1. 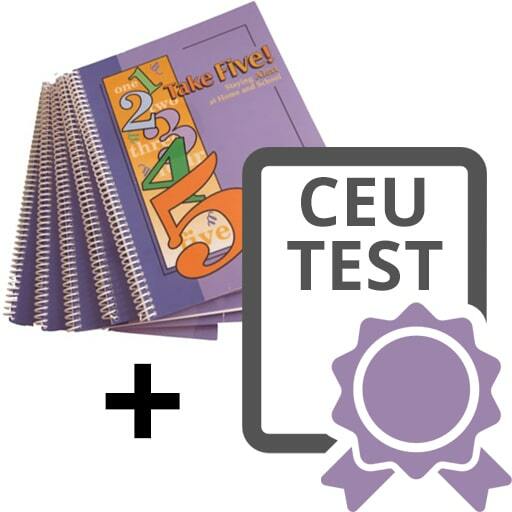 Once you purchase this CEU Test, you’ll receive an email with a PDF file of test instructions, Take Five! CEU final exam, registration sheet and answer sheet. 2. Just to clarify, you will need to purchase a copy of the required text, the Take Five! book, if you don’t already have it. 4. A score of 70% or better on this multiple-choice test will be required to receive a Certificate of Completion. Successful completion is a minimum of 11 of 15 correct answers on the written test. You can repeat the test until you are successful (no additional charge). 5. You will be notified of your test results by email and issued either a Certificate of Completion for 3.0 contact hours (0.3 AOTA CEUs or 3.75 NBCOT PDUs) or an invitation to re-take the test again at no extra charge to you. Once TherapyWorks, Inc. receives your test, we will email you within two weeks. This 15 item multiple-choice test will confirm the knowledge that you’ve gained by reading the required text, Take Five!. Since you already have a copy of this book, you can start your continuing education immediately.